I've tried to convince myself otherwise, but I was definitely disappointed by that last Muppets film. As thrilled as I'd been to support the reentry of all those pigs and frogs and bears and chickens and things into franchised-pop cultural relevancy, I didn't care about Walter the "new" Muppet, or Jason Segel, or Amy Adams, or anything that detracted from the pure enjoyment of muppets being muppets doing metafictional muppet things. So, I'd hoped for another sequel, but didn't let myself get too excited for Muppets Most Wanted. 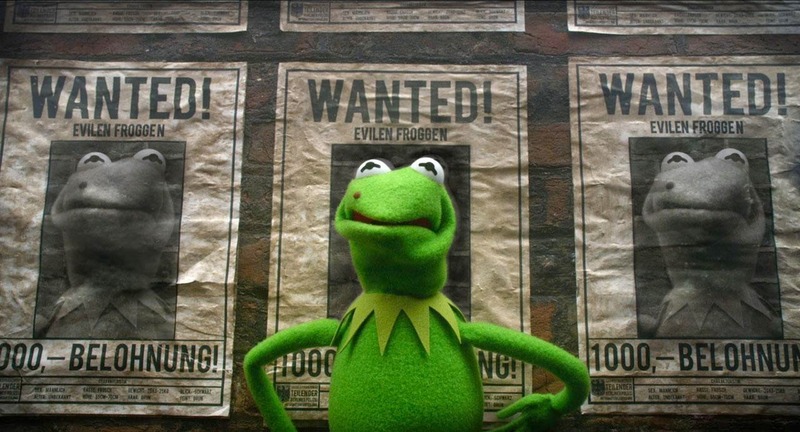 As Dr. Honeydew notes on screen during an ebullient song and dance called "We're Doing a Sequel" minutes into the movie, Most Wanted is actually the seventh sequel to follow the original Muppet Movie, and of the contemporary Muppet outings, it's something of a return to comedic form. If the last film wore its heart on its sleeve or felt too broadly slapstick, this sequel is far more interested in putting on a real show. Segel and Adams are cast out and replaced with Tina Fey and Ricky Gervais, and with those two as human support the humor finds a stronger balance between the kid-friendly gags and pointed adult wit. Of course, the difference between this sequel and the last is something of the difference between the Muppet clan themselves. If you've floated around the internet long enough, you've perhaps stumbled into a particular way of talking about personality types via the straight-line division of our puppeted friends. All Muppets are either chaos or order Muppets. Order Muppets, like Kermit and Scooter, have to keep the show together and tend to be a bit neurotic and reflective. Chaos Muppets, like Animal or Gonzo, keep things out of control, absurd, and shake up the contents of any given situation. 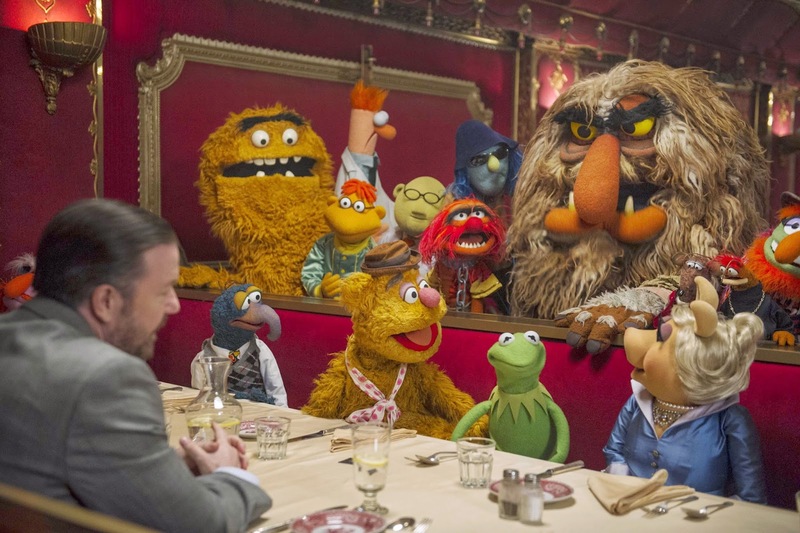 Jason Segel's The Muppets was an Order Muppet movie centered on necessary deadlines, feel good nostalgia, and belonging. 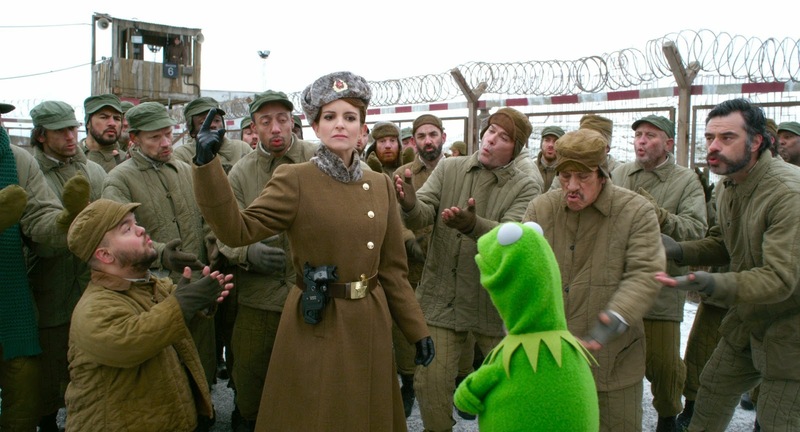 Muppets Most Wanted is a Chaos Muppet movie: it runs where it wants, when it wants, will take a train across an ocean (as one does), throw Kermit in a Siberian gulag, and allow things to spiral out of control for the sake of a good punchline. The jokes start from minute one and continue through an endless stream of references and puns and slapstick and subtle innuendo until the credits roll (and then some). The songs are clever, upbeat, not hellbent on self-reflection, and the story itself is a mash-up of old school, golden age material. It's Muppets Take Manhattan mixed with The Great Muppet Caper plus a dash of the original Muppet Show. Most importantly, though, the Muppet screentime hierarchy has been restored: Walter has been shoved to the back as a milquetoast voice of reason (a lesser Scooter), and the rest of the gang had me in fits of actual, stupid-sounding giggles. Yeah. Like. Giggles. I know. Though it's certainly not classifiable as a great work of cinema, or even particularly unique (considering how much it cribs from and comments on its own history), Muppets Most Wanted is a delightful little film that Muppet fans should find themselves falling in love with. As the gang sets off on a European tour at the behest of the their obviously no-good new manager Dominic Badguy (Gervais), we're whisked off on a whirlwind adventure that find good-old Kermit organizing prison musical numbers in a Gulag while his dead ringer, Constantine: the "most dangerous frog in the world" feigns his accent, pulls off museum heists, and leads the Muppet crew quickly into disorder. Constantine is a solid addition, a great villain, and the source of a tremendous amount of the film's humor. If one Kermit is great, a second one with a squishy face and an inability to master Kermit's speech pattern is even better. Granted, Constantine's presence is one that forces the Muppets to move in a mad-cap zig-zag away from some of the more heartfelt qualities of the last film, and for many that means Most Wanted won't resonate in quite the same way. Fans of the more chaotic Muppet adventures, though, should find this eminently watchable.